With Mitt Romney now the de facto Republican presidential nominee, I sometimes recall how I inadvertently launched his political career a decade ago, which is less implausible than it might sound. Unlike the vast majority of previous major-party presidential candidates, Romney has a remarkably slender record of election victories, having previously won just a single race, his 2002 election as governor of Massachusetts. In 1994, he had taken a break from his long and highly successful career in private equity to challenge Sen. Edward Kennedy’s reelection. Although he then positioned himself as a very liberal Republican and even attempted to outflank Kennedy to the left on some issues, Massachusetts was a heavily Democratic state and Kennedy was its leading political icon. 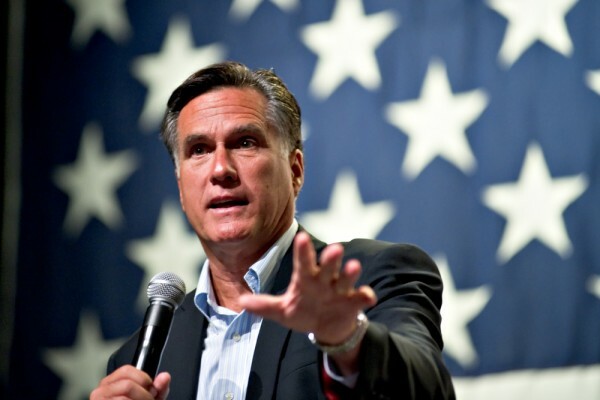 Romney suffered a landslide defeat, losing by 17 points to his famous opponent despite a huge national Republican tide. After this drubbing, Romney eventually recouped his political fortunes by serving as appointed president of the organizing committee for the 2002 Olympic Games in Salt Lake City. He was widely credited with having provided the organizational skills that rescued the event from looming calamity. This prestigious success led Romney to make another stab at winning political office, and he entered the 2002 Republican primary for Massachusetts governor. Since I was then running an “English for the Children of Massachusetts” ballot-initiative campaign to dismantle bilingual education, I closely followed the political developments of that year. Romney’s initial opponent was Acting Governor Jane Swift, a very moderate Republican who had been elected lieutenant governor in 1998 and succeeded to her office upon the resignation of Governor Paul Cellucci, whom President Bill Clinton had appointed U.S. ambassador to Canada. Governor Swift was widely viewed as weak and ineffectual, and Romney, buoyed by his Olympic success and his vast personal fortune, soon attracted such overwhelming support among local Republican leaders that Swift dropped out of the race. Under Massachusetts law, candidates for governor and lieutenant governor run as a single ticket but are each chosen separately in their party primaries. Therefore, since Romney had pushed a female Republican incumbent governor out of his race, and his general-election opponent seemed likely to be another woman, popular State Treasurer Shannon O’Brien, he sought to gender-balance his ticket by selecting a female running mate. Only 15 percent of registered Massachusetts voters were Republican, so the party’s talent pool was minuscule, and he selected Kerry Healey—a somewhat obscure local GOP activist who had never held political office—persuading her to enter the primary for the second slot. She was quickly challenged by Jim Rappaport, a wealthy Republican leader who hoped to win the primary by running sharply to her right. Thus, although Romney was unopposed for the Republican nomination, there ensued a bitter battle for the second slot between the Rappaport forces and the Romney forces, backing Healey. At this point, my own campaign entered the equation. 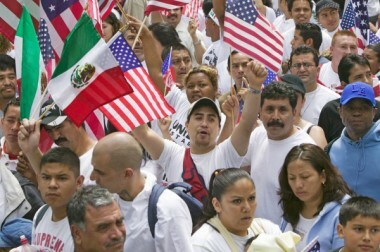 I had successfully qualified our measure as Question Two for the November ballot, and its requirement that all immigrant children be taught English as soon as they started school had begun attracting heavy coverage in the local media, proving to be wildly popular among more conservative voters. Nonetheless, the vast majority of the state’s Democratic political establishment declared their opposition to the measure. 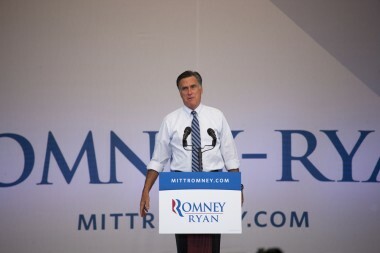 Since Romney was positioning himself for the general election, he soon did the same. Romney’s opposition concerned me, since unified Democratic and Republican attacks on our initiative might endanger its passage in November. Therefore, I quickly reached out to Rappaport, and with “English” having perhaps 90 percent support among Republicans, he immediately endorsed our Question Two, hoping to use the issue as a weapon against Healey in the primary. Just as I had hoped, Romney soon decided that Healey needed to protect herself by also endorsing the measure, which forced him to avoid an embarrassing split in the ranks by reversing his previous position and doing the same. Partly as a result, Healey soon won an overwhelming victory in her primary race, and the political lines were set for November. As it turned out, Romney’s decision was a fateful one. The Boston Globe and other media outlets soon noted that on almost every other major issue, his positions were identical to those of his Democratic opponent, O’Brien. 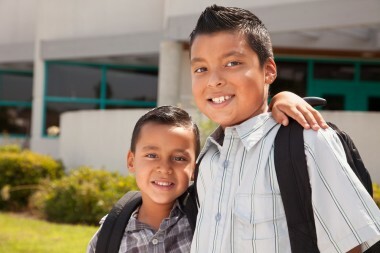 Only support for English in the schools separated the two candidates. When rival candidates have identical positions, campaigns often become unappealing slugfests, and that was the case throughout most of the 2002 gubernatorial race in Massachusetts. Romney bludgeoned O’Brien as a lifelong career politician who was part of a corrupt party machine, while O’Brien denounced Romney as a greedy, carpet-bagging Wall Street takeover artist—both charges being backed by millions of dollars of television attack ads. As the election grew near, however, the hot-button question of whether or not all public schools should teach their students English exploded into public awareness, becoming far and away the biggest issue of the election, without a single dollar of advertising having been spent on its behalf. When reporters from the Globe and other newspapers went out and interviewed ordinary voters, many of them didn’t much know or care about the candidates running for any office, including governor, but almost everyone was talking about “English” and most were overwhelmingly enthusiastic. Finally, Romney’s people noticed this and decided to hitch a ride on the issue, so for the last few weeks of the campaign his advertising focused on the fact that he supported “English” while his Democratic rival opposed it. Then, on Election Day, our measure won by over 32 points, perhaps the largest landslide of any contested initiative in modern Massachusetts history, while Romney scraped across the finish line with 49.8 percent of the vote. And that’s how Romney won his first and only election victory. 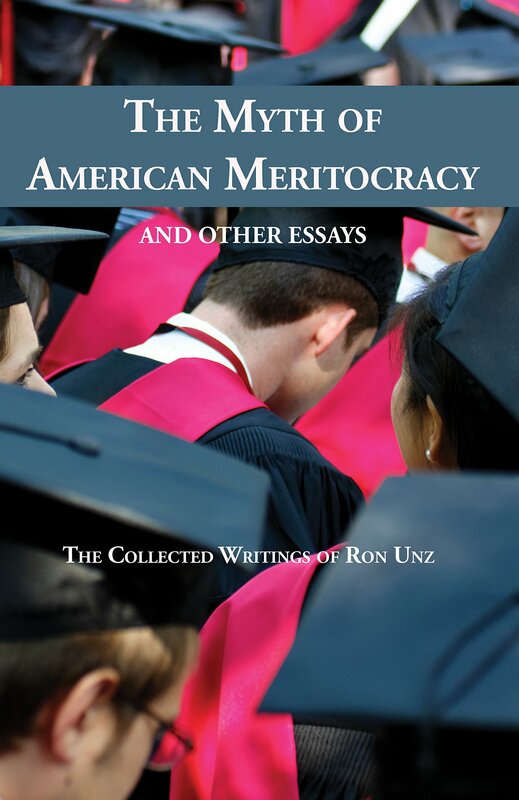 Ron Unz, publisher of The American Conservative , served as chairman of English for the Children, the nationwide campaign to dismantle bilingual education. 2 Comments to "How I Made Mitt"
If only Romney himself could learn English. Continue cheering people like Martha Coakley, Deval Patrick, and O’Brien on. The rest of us will be voting for President Romney.